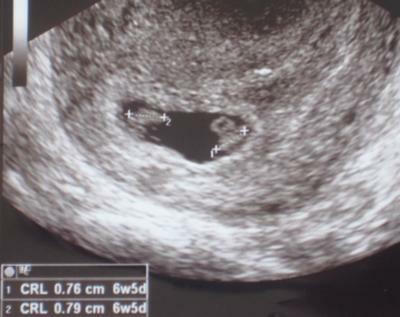 7 Week Ultrasound...Identical or Fraternal? This is the only ultrasound I've had taken so far around my 7th week. The twins seem to be in a single sac. Am I right in guessing they are identical? I suppose only time will tell the further along I get. Twins in themselves was a shocker since twins don't run in my or in his. Identical twins would top it all since I know how rare that is too. Comments for 7 Week Ultrasound...Identical or Fraternal? Yes, those are identical twins! You can tell since they share the same sack. My girls are fraternal and you could see both sacks on the ultrasound. They should be able to tell you wether they share the same placenta or have their own. Congratulations! to me it looks like identical and it would make more sense since genetics do not affect weather or not you will have them. so if no one you know has twins they it would make sense that they are identical. you never know though. i got pregnant with fraternal twins then found out they run in my family because i didn't know anything about my dad until recently.